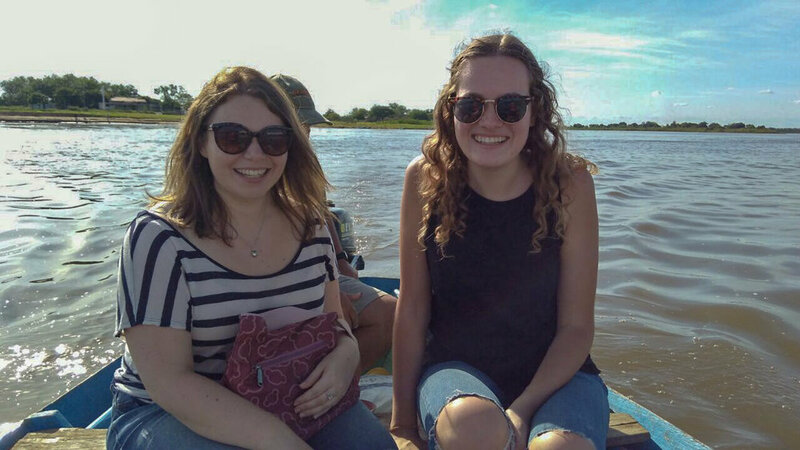 I honestly don’t even know how to start to summarise the 5 months I spent in Paraguay. Concepcion really is a very special place, I completely fell in love with it and all the people there too. I met some amazing people, including Claire and Melissa. They are absolute stars and I learnt so much from even just spending time with them. God is so Good!! There are so many highlights, there is no way I could ever write about them all, so I will just mention a few. Probably my main one was all the kids clubs. I loved all the kids to bits and it was so special just getting to spend time with them each week and getting to show them a little of God’s love for them. 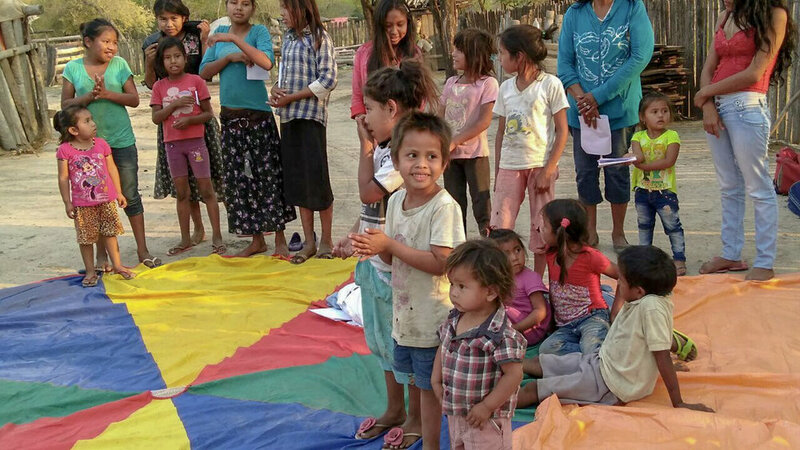 We had so many ways to show them this practically, even just by sitting in the dirt and playing with them, as well as getting to teach them his word. I loved seeing the kids and young people just get it and seeing some of them falling more and more in love with God each week. Another highlight for me was the Chaco. I went here almost every Sunday with either Claire, Melissa or another woman from the church. The Chaco is very rural and there is lots of poverty. It’s where the indigenous people live and I loved it so much. The people were quite reserved and quiet, but they had a great sense of humour and would always be so full of joy. We also got to bring them clothes people had donated and flip flops we bought for them and they were always very grateful. One of the most special memories was when we were sitting just at the side of the road outside a house and we were able to have communion together. This is Church. It couldn’t be more different to church here at home but God was there and he is the same across all the nations. I also loved doing the Nativities!! It was exhausting at times. I think we did around 8 in total in different areas of Concepcion and in some nearby towns. But it was so nice getting to spend more time with the kids and get to know them better. And it was also a good opportunity when the parents all came to watch the kids. There was young people serving and helping with the kids, people asking for prayer and people responding to the gospel message. 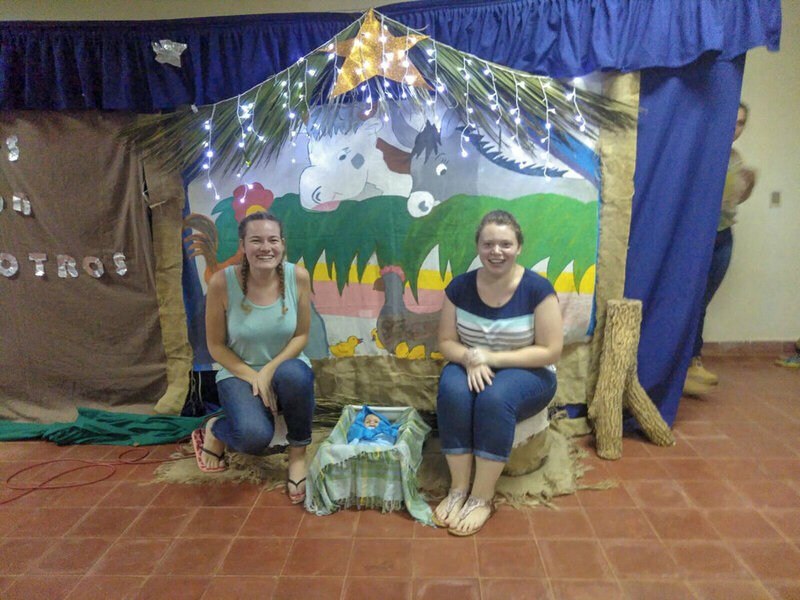 We also did a nativity with the young people, and a few older people in the church. It was definitely a highlight. Loads of them remembered doing the nativities when they were in the kids clubs themselves and now they were so enthusiastic about doing it again, it was really good fun and there was such a sense of family within the church. My final highlight is very broad. But it is just all of the people we got to meet. They are all so amazing and it was a privilege getting to know them better over my time there. I learnt a lot from them, particularly about prayer and trusting God, even in some of the most difficult circumstances. Sometimes learning the language was frustrating, and the heat was unbearable. But through all of this God was there, and it was probably in these hard times that he taught me and shaped me the most.. Honestly the past 5 months have wrecked my life, for all the right reasons. At the start I prayed a prayer “break my heart for what breaks yours.” And since then I think I really do see everything so differently. Even now at home I see there is such a need for God in people’s lives. My heart broke so many times for the kids and other people we had the privilege to get to know. Every time I think of their situations and am praying for them my heart breaks all over again. And it’s also changed how I view things at home now too, there is so so much need. But even in all the brokenness God is working, I know I can just bring everything to him, he’s so much greater and so present and ultimately he has the victory. So many things completely broke my heart. Like kids in San Antonio who were unwanted or who lived surrounded by such violence. Or the wee woman we visited in the Chaco who had absolutely nothing and when we brought a mattress for her, her sister sold it for drink. Or even the young people in Ramonita and Villa Alta who are the only Christians in their families and find it really hard. Coming home has been a real mix of emotions. 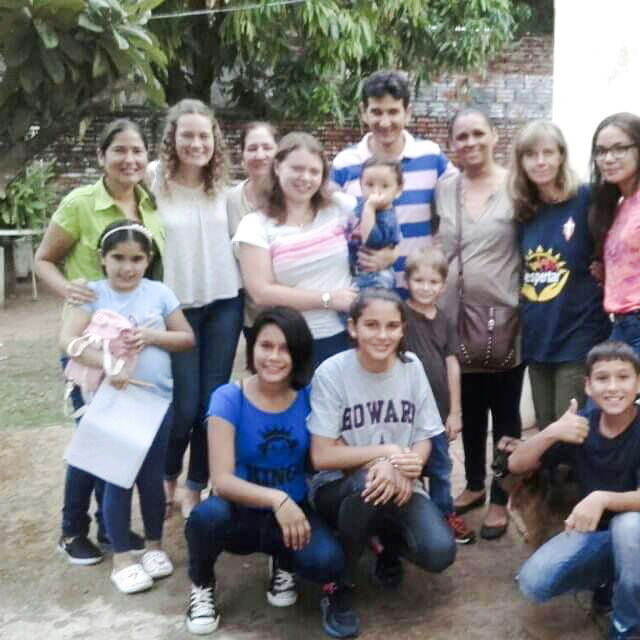 I’ve loved seeing all my family and friends again, but I miss everyone in Paraguay so much too. It’s been exciting being able to do things like going out for coffee with my friends again and I appreciate wee things like this so much more than I ever did before. I’ve also been loving the cold!! But sometimes it’s hard. Sometimes it is very frustrating, sometimes people don’t seem to care as much as I want them too, I need to be patient, I can’t expect everyone to fully understand since they didn’t experience it themselves. I learnt so much while I was away the main thing was that I need God more than I ever thought I did. I can’t do things in my own strength, it’s only through him, and I can’t make a big difference only God can, so prayer is essential. I think before I was too comfortable, but when you’re in a different country, really out of your comfort zone and can’t even speak the language I really realised that I need God to be the centre of even the small everyday things, and it’s still the same even though I’m back home, I need God in every single part of my life. To finish up I just want to say that Mission is an everyday thing, not just for 5 months in Paraguay or a 2 week team in summer, its right here and right now. But it’s also important to keep mission abroad on our minds, and to continue daily praying for the nations, and the many people faithfully serving overseas. Because prayer is powerful and makes a difference. 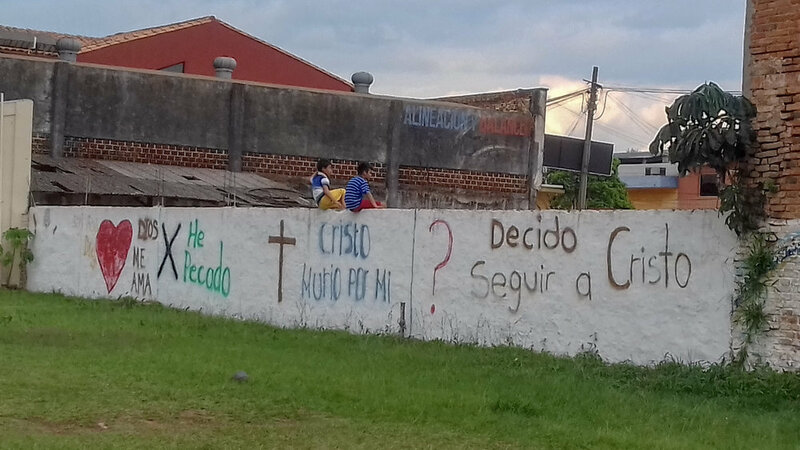 So do please pray for Paraguay, give thanks for the church, pray the people will continue following God, that they will fall more in love with him and have a desire to share this with others. And also for Claire who is just an absolute star and is so faithful to Gods call. 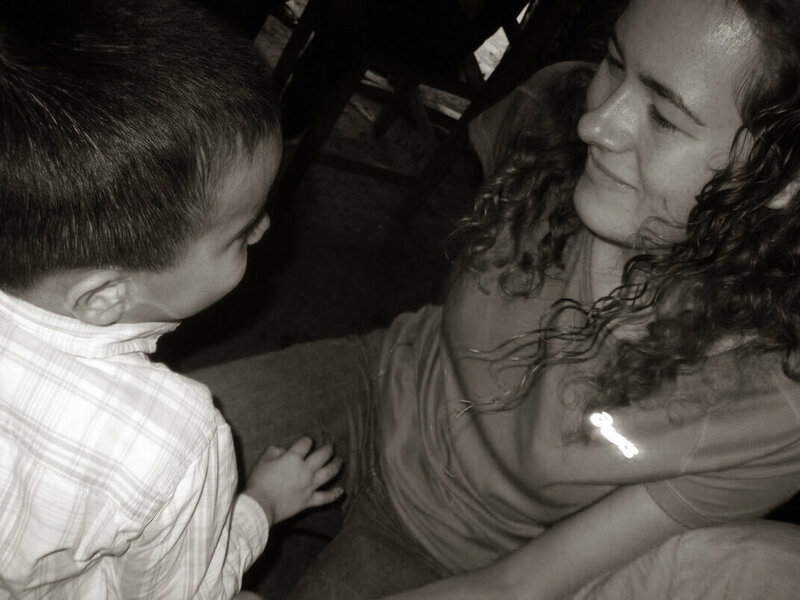 Paraguay and the people there have stolen a huge piece of my heart; probably the hardest part was leaving. But I am just so thankful for everything that God has been and is doing, for all I’ve learnt, the people I’ve met and for growing that bit closer to him. And I can’t praise and thank him enough, he deserves all the glory! !